As well behaved and mellow as Dakota is, there are still quite a few things she needs to work on. Getting along with smaller dogs and controlling her prey drive were the two main reasons we decided to sign up for an 8 week dog obedience class and here’s what we are learning. A great weekly opportunity to socialize Dakota with other dogs, especially dogs smaller than she is. There are already several concerns from some of the attendees about being scared of big dogs. We hope to show the skeptics in the class that pit bulls are not always aggressive animals. Dakota walking around the park during class time. 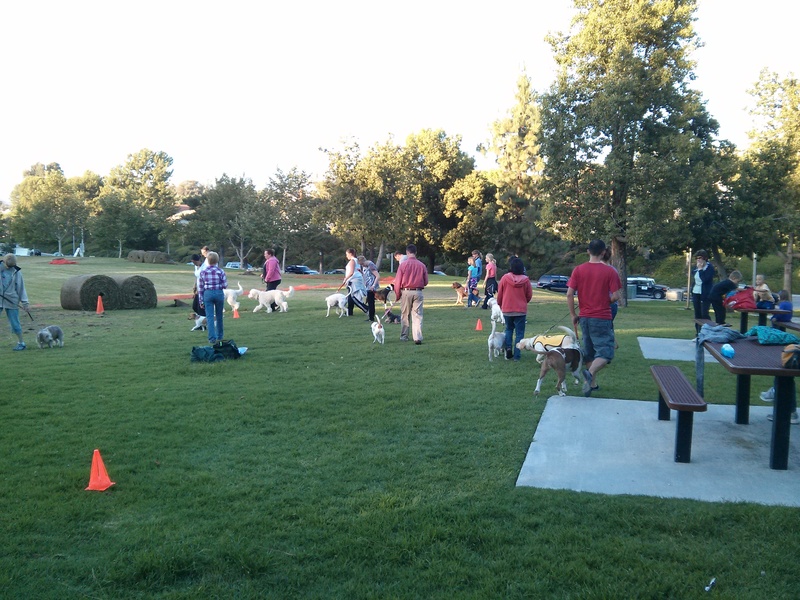 This entry was posted in Dogs and tagged dogs, obedience, pit bull, training by hikenoworklater. Bookmark the permalink.